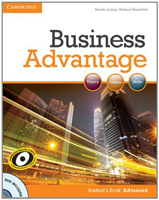 ISBN: 9780521124737 Categories: Business, Special Purposes, Contact US! Contact US! 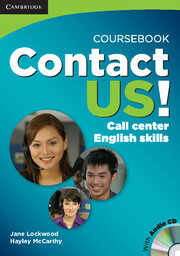 has been carefully developed to meet the needs of call center agents who require communication training. The course consists of 10 units with a total of about 100 hours of motivating and highly relevant training material. Units have been designed in a way that allows trainers to select materials flexibly from the book according to the needs of learners. 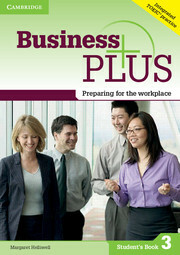 The program has been developed by FuturePerfect Business English specialists. Contact US! 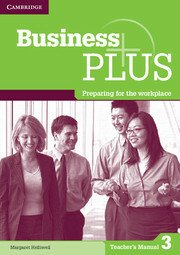 • Practices a unique blend of skills: active listening and speaking; understanding and managing soft skills; reading on screen and providing information; and developing intercultural understanding. 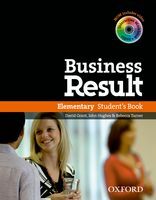 • Caters for different learning styles and is highly communicative in approach. 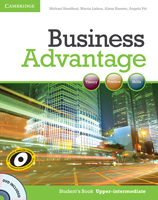 • Uses the Business Processing Language Assessment Scales (BUPLAS) to measure both communications gains and intercultural competencies. • Is strongly grounded in current research and draws on extensive experience with leading global call center and BPO organizations.